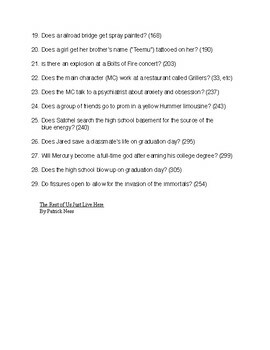 29 original questions for your high school level Battle of The Books. 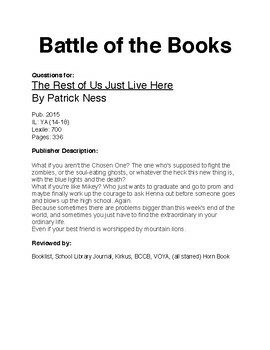 All questions can be answered with this starred title by Patrick Ness. All questions are posed in the format of "In which book...?". 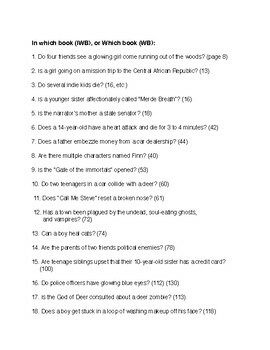 Questions are trivia-based and not intended for book studies.